Organized by a New Jersey student-led group in partnership with the medical student IR organizations from CMSRU, HackensackSOM, NJMS, RowanSOM, and RWJMS, Robert Wood Johnson University Hospital will be hosting New Jersey's first annual interventional radiology conference. 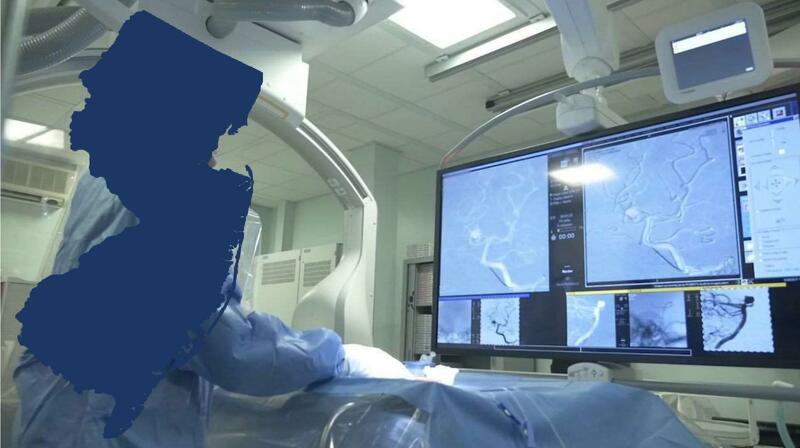 The New Jersey Interventional Radiology Symposium (NJIRS) is open to all members of the greater New Jersey community and will feature speakers, panels, and networking opportunities. This year’s speakers and honored-guests will discuss several emerging topics in IR such as pediatric IR, interventional oncology, trauma IR, and residency pathways. Interactive exhibitions by leading technology companies in IR will be showcased at the event. The inception of this conference was derived from a need felt both in New Jersey and across the country to expose medical students to IR. The mission of our first annual IR symposium is to share our passion for interventional radiology with our peers while engaging them in a fun and interactive discussion with leaders in the field. We hope to showcase the best of IR. The 2019 NJ Interventional Radiology Symposium will take place in the Arline and Henry Schwartman Courtyard, which is conveniently located in the heart of New Brunswick. RWJUH has generously offered to validate parking for the Plum Street Parking Garage only, so be sure to park in that Garage and bring your parking ticket with you to the event. Attendees will be able to engage with various interventional radiology devices from Argon, Boston Scientific, Medtronic, Penumbra, and Terumo. This is a unique opportunity to interact with IR equipment outside of the operating room. Sign up & share! Registration closes on 2/27/19 at 11:55PM!